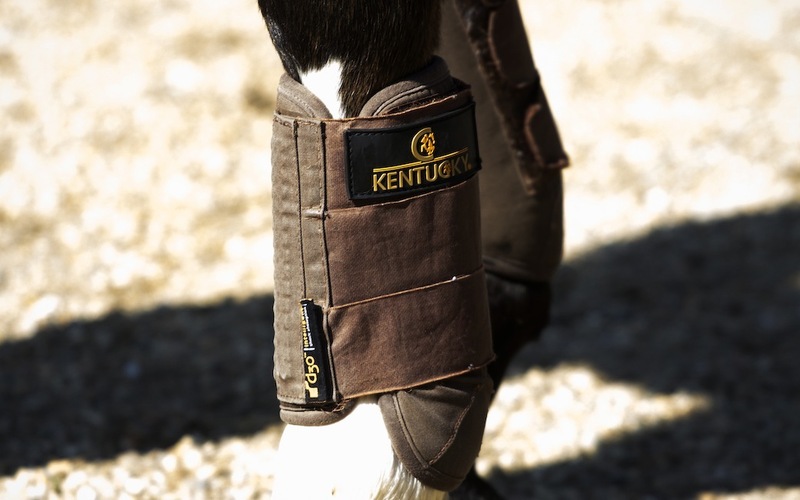 Kentucky Horsewear was established back in August 2010, yet it is rapidly becoming the ‘must have’ brand, for protective horse boots across all disciplines. Today Kentucky is directed by the second generation and is one of the leading brands in the equestrian world and is fully integrated with its own production in Europe and Asia. Since 1980 The German Olympic Equestrian Committee (DOKR) appointed KENTUCKY as an “official supplier”. As a premium brand their products are sold worldwide. The Kentucky cross country boot is great for a numerous reasons the fabric it’s made of is D30 which is very flexible and has great shock absorbancy qualities. They are also special as they are both breathable, waterproof and the fabic it’s made of keeps the legs cool. They are the best boot on the market.